If you're considering garcinia cambogia (Malabar tamarind) to lose weight, you've probably seen ads for this herbal weight-loss aid—which contains an active compound called hydroxycitric acid (HCA)—in magazines and online. Many of them include references to clinical studies and some mention Dr. Oz's name in order to gain your attention. But should you really open your wallet to buy this diet pill? Though the rind of the pumpkin-like fruit has a history as a digestive and a traditional remedy to treat a range of complaints, there are concerns about both the safety and efficacy of HCA. At least 10 cases of liver failure associated with garcinia cambogia supplements, resulting in one death and two liver transplants, have been reported. 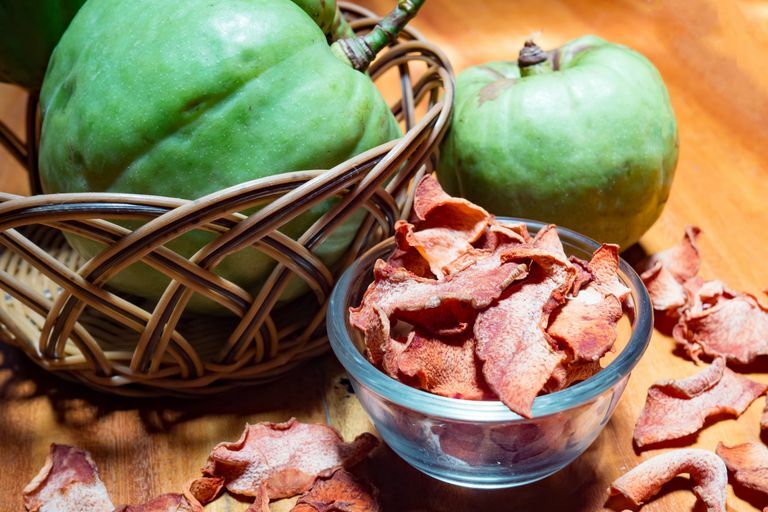 Here's what you need to know about garcinia cambogia and HCA before buying it. HCA has been shown to inhibit the formation of fat and to enhance satiety, the sense of feeling full and satisfied, and thus to suppress food intake. However, according to one review article from 2013, most of the evidence on these benefits has been derived from animal studies. In humans trials the evidence on whether garcinia cambogia or HCA is effective for weight loss is conflicting, and any effects it may have appear to be small. The upshot, according to the authors of this review article: Definitive conclusions that garcinia cambogia/HCA supplements are effective against obesity remains to be proven in larger-scale and longer-term clinical trials. Dietary supplements containing garcinia cambogia have also been implicated in three cases of mania, possibly due to HCA's ability to affect the neurotransmitter serotonin. In most of these cases, as well as those that resulted in liver damage, the supplements contained other ingredients as well, so the toxicity can't be definitively attributed to garcinia cambogia. According to the National Institutes of Health, because all clinical trials of garcinia cambogia and HCA have been short, its long-term safety is unknown. The Memorial Sloan Kettering Cancer Center recommends not using garcinia cambogia if you have diabetes (it can affect insulin and glucose levels) or are pregnant. It also warns against taking garcinia cambogia if you're taking insulin or antidepressants, since HCA may increase serotonin release. It's important to keep in mind that supplements haven't been tested for safety and that they're largely unregulated. In some cases, the product may deliver doses that differ from the specified amount for each herb. In other cases, the product may be contaminated with other substances, such as metals. In 2017, the U.S. Food and Drug Administration issued an advisory warning against the purchase or use a garcinia cambogia product because it was found to contain sibutramine, a controlled substance that was removed from the market in 2010 for safety reasons. Also, the safety of supplements in children has not been established. There doesn't seem to be a standardized dosage for garcinia cambogia. Doses used in studies where it showed some (albeit minor) benefit ranged from 300 milligrams of HCA for two weeks to 1,500 milligrams of HCA a day for 11 days to a regimen of four grams for the first day followed by 3 grams until day 10. If you do decide to use garcinia cambogia, take it only for short periods (12 weeks or less), the amount of time that appears safe for most people, according to the National Center for Complementary and Integrative Health. But consider talking to your doctor, a pharmacist, or a registered dietitian first. If you can’t access one of those sources, the FDA offers advice to consumers who are looking for a weight-loss pill or supplement. Use its guide before you make any decision. Chuah, Li Oon, et al. Updates on Antiobesity Effect of Garcinia Origin (−)-HCA. Evid Based Complement Alternat Med. 2013; 751658. Corey, R., Werner, K. T., Singer, A., Moss, A., Smith, M., Noelting, J., & Rakela, J. Acute liver failure associated with Garcinia cambogia use. Annals of Hepatology. 2016; 15(1): 123-126. Lunsford, Keri, et al. Dangerous dietary supplements: Garcinia cambogia-associated hepatic failure requiring transplantation. World J Gastroenterol. 2016; Dec 7; 22(45): 10071–10076. Memorial Sloan Kettering Cancer Center. Garcinia gummi-gutta. National Center for Complementary and Integrative Health. Garcinia Cambogia. U.S. Food and Drug Administration. Beware of Products Promising Miracle Weight Loss. U.S. Food and Drug Administration. Public Notification: Fruta Planta Life (Garcinia Cambogia Premium) contains hidden drug ingredient.